Claire is the most successful female freestyle paddler of all time, winning a combined 8 World Championships! 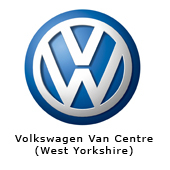 See Claire's Blog to keep personally updated on her competitions, results and general gossip! Claire, 33, was born in Leeds and attended Cardinal Heenan High School and Notre Dame Sixth Form College. She attended Leeds Metropolitan University where she obtained a BA Honours degree in Sport and Recreation Development. 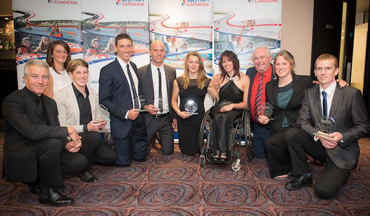 In 2001 Claire started competing competitively in freestyle kayaking and in 2006 she made the British team. Since winning her place on the team Claire has had a very successful international competition career. She has travelled to paddle at rivers in many countries across the world. She has paddled all across the UK and Europe and in the USA, Canada, Norway, Uganda, NZ, Australia and Nepal. 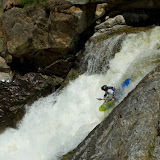 Claire is a multi-disciplined paddler and has experience paddling freestyle, squirt boat, slalom, surf, polo and white water kayak as well as traditional and specialist white water open canoe at recreational and competitive level. 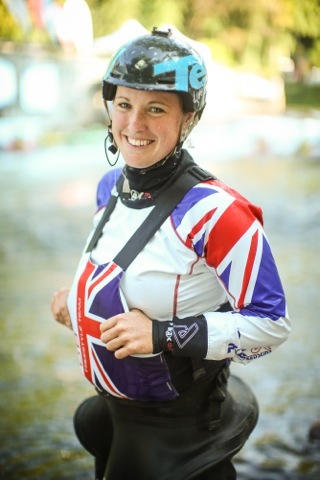 Claire is the current World Champion in Freestyle Kayak and Squirt Boat Kayak and is the most successful female freestyle kayaker in the World and the most successful British Freestyle kayaker in History having won multiple World Championships, European Championships and British Championship Golds. 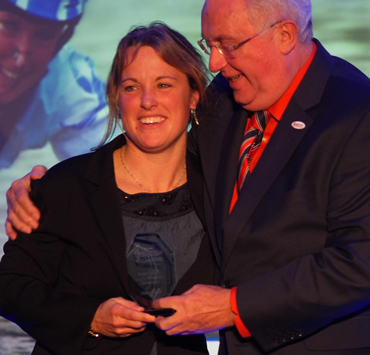 Claire has won five ICF World Championship Titles and two Mystery World Championship titles and is the only freestyle kayak athlete ever to have Doubled the Double. She currently holds the world record for the highest competitive women scores in both disciplines of the sports. Claire has also won numerous World Cup, European Cup, European Champion and British Championship titles. Claire still trains and competes around the world in both squirt boat kayak and freestyle kayaking and is a great ambassador for the sport. Since graduating in July 2004 Claire has worked as a full time instructor, senior instructor and technical advisor for Bradford Council, Nottingham City Council and Nottingham County Council’s Adventure Activity teams and for a number of individuals and organisation as a Freelance Instructor including work with Leeds Beckett University, the National Water Sports Centre, Nottingham and the Kelly White Water Park in the USA. Claire also spent 4 years working part-time as the Further Education Sport Coordinator and Enhancement Coordinator at Notre Dame 6th Form College. 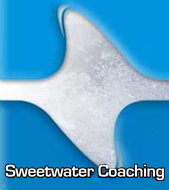 Claire is an aspirant Level 5 Kayak coach and a BCU UKCC tutor trainer. She is also qualified to teach and deliver several other outdoor activities and sports. 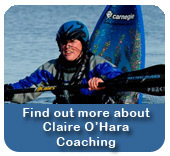 Claire is currently training full time and works as a Freelance Instructor for Claire O’Hara Coaching. Through her achievements Claire is keen to motivate other young people to stay active, follow their goals and dreams and strive to be the best they can be . She is also actively seeking sponsorship and anyone interested in sponsoring her can contact her by e-mail at ohara_claire@hotmail.com.